There are a few things you can do yourself in your home – you can paint, you can sand, you can even do a bit of plastering if you’re handy. What you shouldn’t do is fiddle with your electrics by yourself, as it’s dangerous. Unless you’re a sparkie yourself, you should leave them well alone and get in a professional. You might worry about finding a reliable, trustworthy electrician, but you shouldn’t have any problems doing this if you follow these tips. 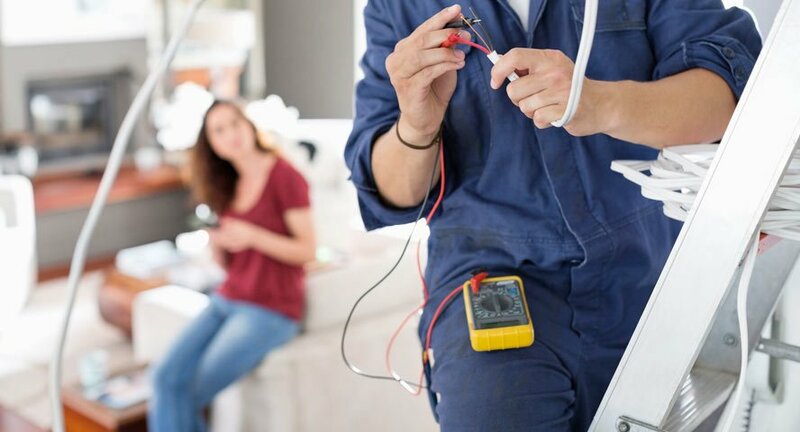 Not all electricians are the same and some have specialities, so if you have a big or unusual job to be done, you’ll need to find someone with the requisite experience. Filtering out a few electricians according to the jobs you need doing is a really good way to find decent ones – the ones who can do it are skilful and versatile and the ones who tell you they can’t are honest. That’s a win-win. Ask for recommendations from friends, family and colleagues, as everyone has used an electrician at some point. Talk to the electricians your chums recommended and get a feel for them. How many years have they been working? How high is their insurance? What do they specialise in? All electricians should be fully insured and licensed for the state they’re working in, if not nationally. If you’re especially worried about this, ask to see proof of a valid licence and up-to-date insurance. You may already have references from your friends and family, but if you don’t, ask for the contact details of past and present clients, then speak to a few of them. Your quote should be a guaranteed price and you should ask about any new technology – like surge protectors – so that your quote includes pretty much everything you might need. Cheapest isn’t necessarily best, and if a quote seems very low, the electrician may find it difficult to complete the work on time or within budget.